Android users can boast something over all other smartphone platforms – the ultimate choice of keyboards. As the mobile operating system from Google has matured over the years, the stock input method that is a part of the AOSP has also gained more and more capabilities, becoming handsome enough to become the daily driver for many users. With Android 4.2, the Swype-like gesture typing has indeed taken things to a whole new level, putting to shame the offerings of its competitors like iOS and Windows Phone, for instance. However, nothing is ever perfect – not so much in the ever-evolving world of technology anyway – and this is precisely why the Google Play Store is riddled with alternative keyboard and voice input methods, each with its unique set of features. 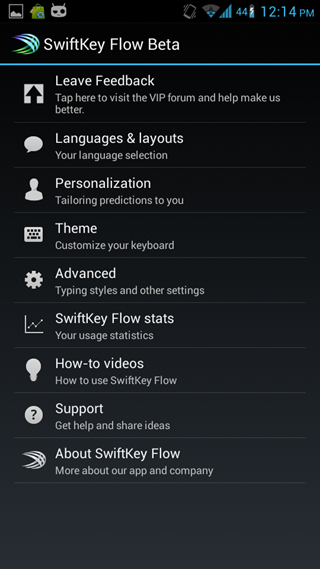 For any Android user, SwiftKey needs no introduction. Arguably the most famous keyboard available out there for Android, the app has come a long way from its inception, and a few months back when “Flow” was announced by the company, it was received frivolously by the entire user community. In case you are unaware, SwiftKey combines the best of both worlds; all the great things about SK itself, merged with gesture-like typing of Android 4.2, making a terrific intuitive deal. A few days back, Flow was upped a notch under the name of ‘Flow Through Space’, which allows users to enter whole sentences without lifting their finger from the keyboard, at all! 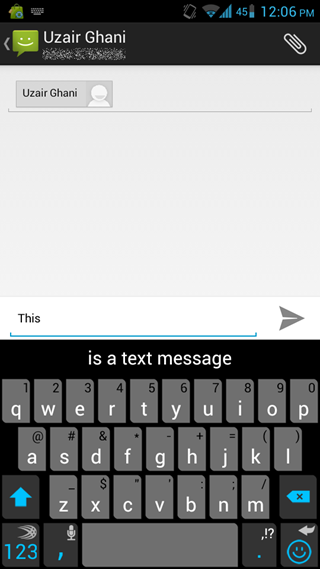 The ability to enter entire sentences without needing a spacebar is nothing new to SwiftKey, to be honest, but with Flow Through Space, you just trace the words on the keyboard, moving your finger over to the space key after every word, and they keyboard’s intelligent dictionary picks up what word you could’ve meant, inserting it automatically to the input area. What’s even better is that it learns from your typing patterns, with the additional ability to learn word usage from Facebook, Gmail, Twitter, and previous text messages. Flow Through Space has been made available by SwiftKey as a public beta to all its VIP members for evaluation and feedback – this is what the official press release would have you believe. However, in reality, it seems that the company has made the keyboard available, for free, to everyone who wants to take it out for a spin. All you need to do is visit the source link below, download the APK for either your phone or your tablet, install it (you’ll need to allow sideloading of apps from unknown sources in Settings), and let the keyboard configure itself as the default input method, as well as some basic preferences. After that, it’s just a matter of “flowing” your heart out!